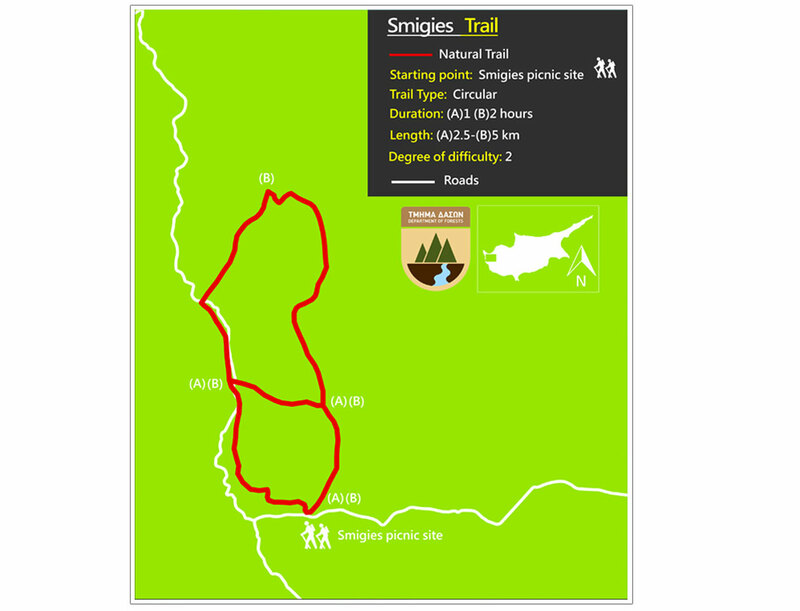 Located in the Akamas Peninsula there are three official nature trails: the Adonis Trail, the Aphrodite Trail, and the Smigies Trail. Interwoven with rocky hiking trails, these three nature trails offer people walking through them stunning views of various sized gorges and valleys, amazing rock formations, the curved coastline, cliffs, and intriguingly shaped boulders. 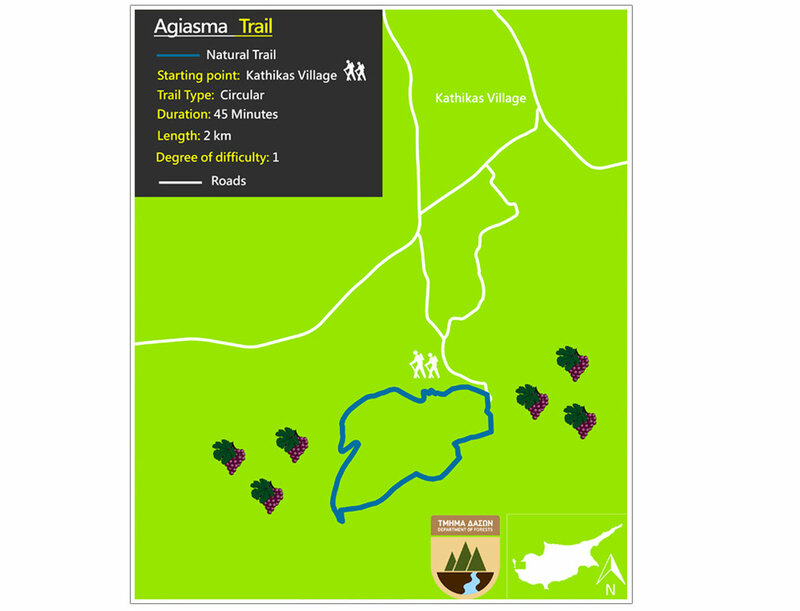 Akamas is famed for its breathtaking beauty and precious ecology. Points of interest: The path goes through tall and impressive rocks in a territory with an interesting geology. Part of the route passes through vine-guards. About 800 meters from the starting point there is a stone-builded faucet with drinking water. 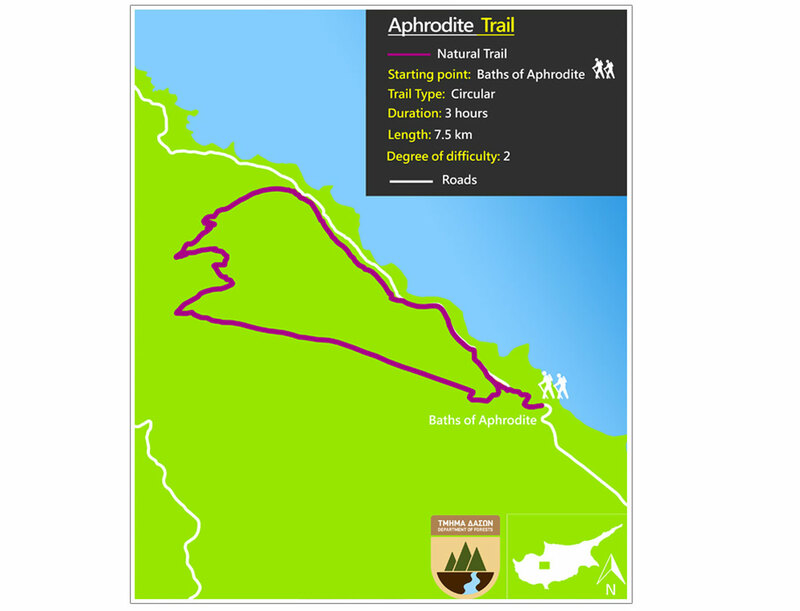 Points of interest: The baths of Aphrodite where, according to tradition, the Goddess of Love used to bathe. Ruins of the Pyrgos tis Rigainas (Queen’s Tower), which are believed to have belonged to a medieval monastery. It is worth mentioning the huge centuries-old oak tree which can be seen at the picnic site, where drinking water is also available. 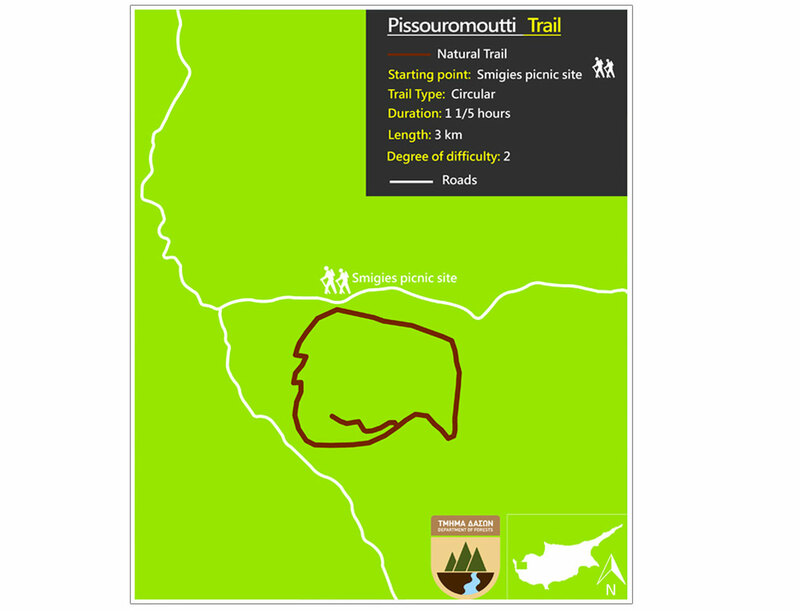 Along the trail there are several points which give a view of Polis Chrysochous and the Pafos Forest. Along the route, there are two potable water fountains, one near the ruins of Pyrgos tis Rigainas (Queen’s Tower) and one between location of the Loutra and Kakoskali. 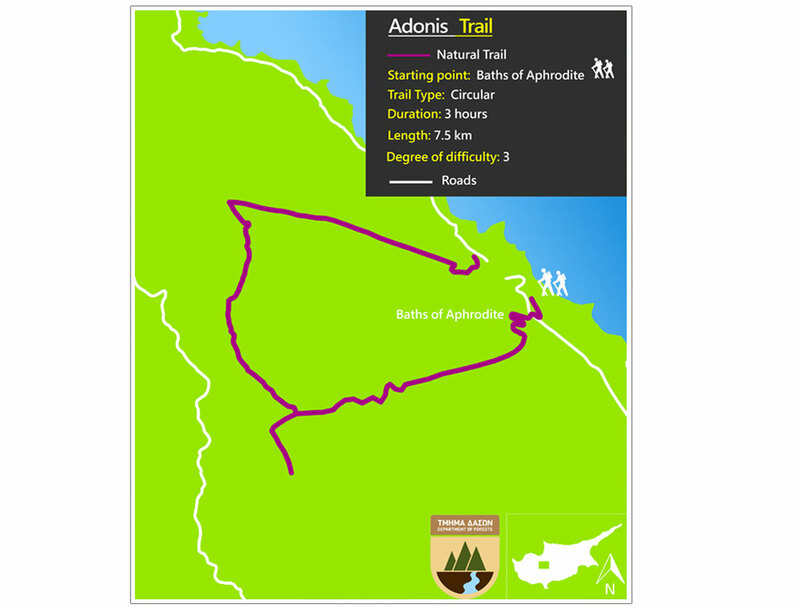 The trail links with Adonis trail. Points of interest: Rich growth of Juniper Phoenicia, pistacia, etc. Views of Polis Bay to the northeast and beaches of Akamas to the west. 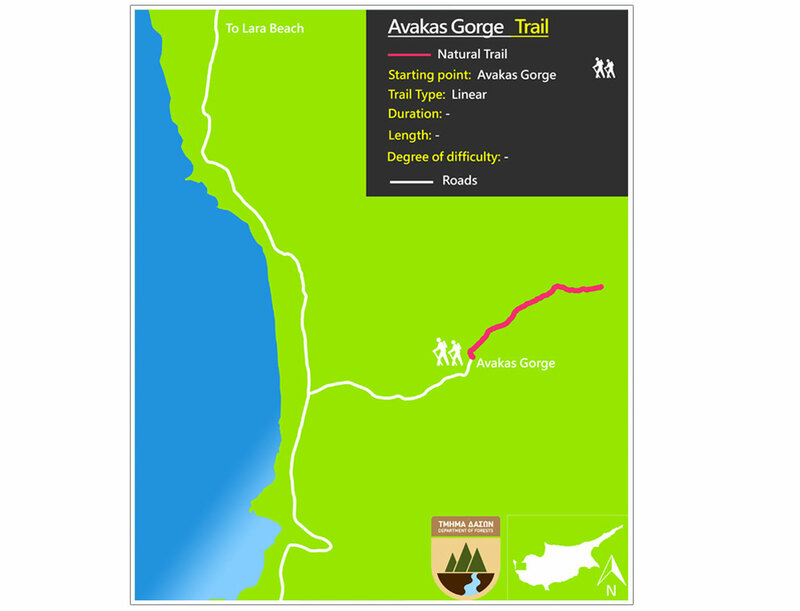 Points of interest: The Avakas Gorge Trail is located in the homonymous gorge, within Pegeia state forest with the end of the trail located inside the gorge. It follows the course of the Avgas River, from where the gorge gets its name and resulted from constant erosive activity on the erodible, sloping limestone rocks composed of loams, chalks, reef and grain limestone and bentonitic clays. The gorge is also a Natura 2000 area. The trail firstly follows a dirt road (closed to private vehicles) through an open valley, then takes you into the gorge. In its last section, the trail is in the stream, in which water usually flows throughout the year. The route through the gorge is characterised by thick vegetation and a particularly attractive, shady and moist environment.